Rob Ferrell Drum Studio has provided quality, personalized and affordable drum lessons in Orange County, California since 1992. 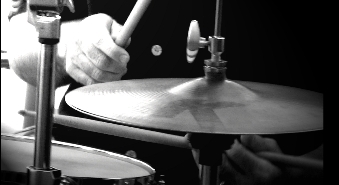 There are many great drum instructors available and it is important to find the one that best suits your needs. Rob has taught students of all ages as well as students with physical and developmental disabilities. Rob has prepared students for auditions at Berklee College of Music, Musicians Institute, the Orange County High School of the Arts and many other fine institutions. Rob began his teaching career out of his home studio in Mission Viejo. He then taught drum lessons at a large music store in the city of Orange and provided mobile drum lessons throughout South Orange County. Rob also co-owned a large music school in Anaheim Hills. 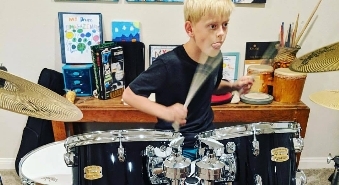 Rob returned to providing drum lessons out of his home studio in Mission Viejo to keep his overhead manageable, scheduling flexible and focus on teaching. 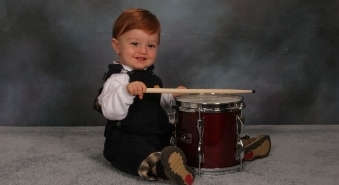 Click CHOOSING A DRUM TEACHER to get some tips on what to look for when making your choice. Click WHAT TO EXPECT FROM DRUM LESSONS and TEACHING PHILOSOPHY to learn more about the drum lessons Rob offers. Click ABOUT to learn more about his background and experience. Click FREE TRANSCRIPTIONS to download drum sheet music for songs Rob has taught his students over the years. Providing students of all ages the tools to enjoy drumming for a lifetime! Free transcriptions and exercises available to download! Learn about Rob's background and extensive teaching experience! Providing drum lessons for the communities of Aliso Viejo, Coto de Caza, Dana Point, Dove Canyon, El Toro, Foothill Ranch, Irvine, Ladera Ranch, Laguna Beach, Laguna Hills, Laguna Niguel, Lake Forest, Mission Viejo, Newport Beach, Rancho Santa Margarita, San Clemente, San Juan Capistrano and Tustin.